Is your summer starting to heat up? Cool it down with the new Nerf Super Soaker Tri Strike Crossbow, by Hasbro. This pump action, crossbow water blaster, is the latest addition to the Nerf Super Soaker family. 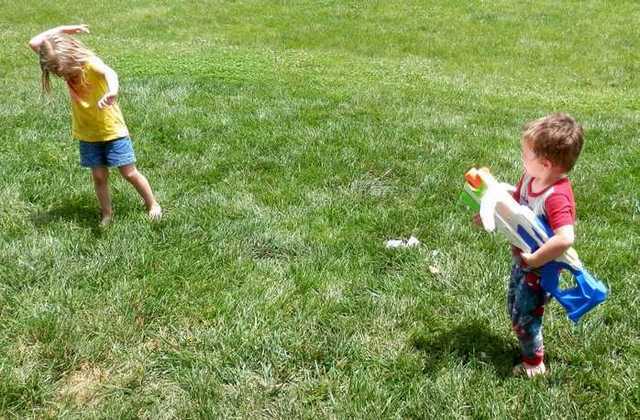 With a 35 foot blast distance, you will dominate any water fights. Plus, with a 45 oz tank, you will keep streaming, long after your opponents have run out. But this is no ordinary Super Soaker. Simply activate the crossbow blast arms, and you will have three long-range water streams, to blow away any opponent. My husband and my kids had a blast playing with the Nerf Tri Strike Crossbow. The Tri Strike Crossbow is recommended for ages 6+, but my five year old daughter was easily able to hold and pump it. Her little brother got his chance for payback. My daughter and my son spent most of the afternoon chasing each other around. I loved that the Tri Strike Crossbow has such a large tank, so my kids can spend more time playing and less time waiting for refills. It is the perfect way to keep the kids cool, while spending time outside. The Nerf Super Soaker Tri Strike Crossbow retails for $24.99. It is available at most major toy retailers nationwide and on HasbroToyShop.com. I received a sample of this product to facilitate my review. I was not required to give a positive review. All opinions are honest and my own. It looks like y’all had a blast! Summer fun is awesome! 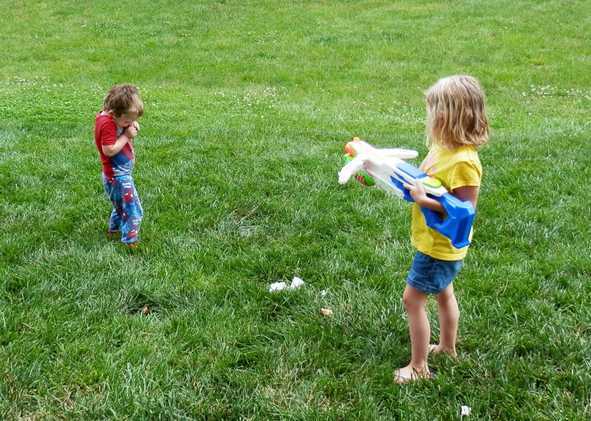 We love having water wars too! My grandson has been begging me to get him one of these! Thanks to your review it looks like he will be getting one very soon. Thanks! this looks super cool, my nephews would love this!!! 🙂 need to look into purchasing!